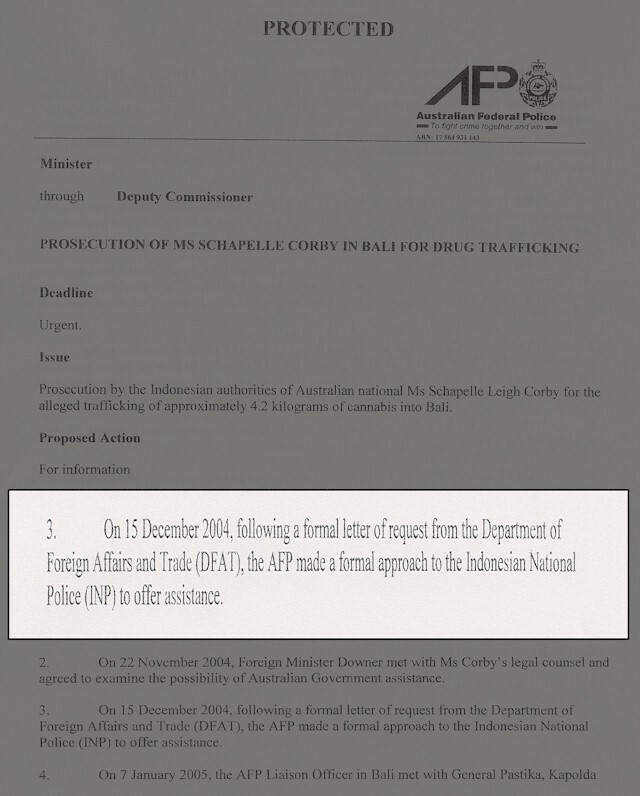 The Australian government's evasion of its statutory and moral obligation, to assist Schapelle Corby with respect to her efforts to have the marijuana tested for country of origin, is documented in The Mutual Evasion Report. During this process, the need for frequent retrospective revision was inevitable. 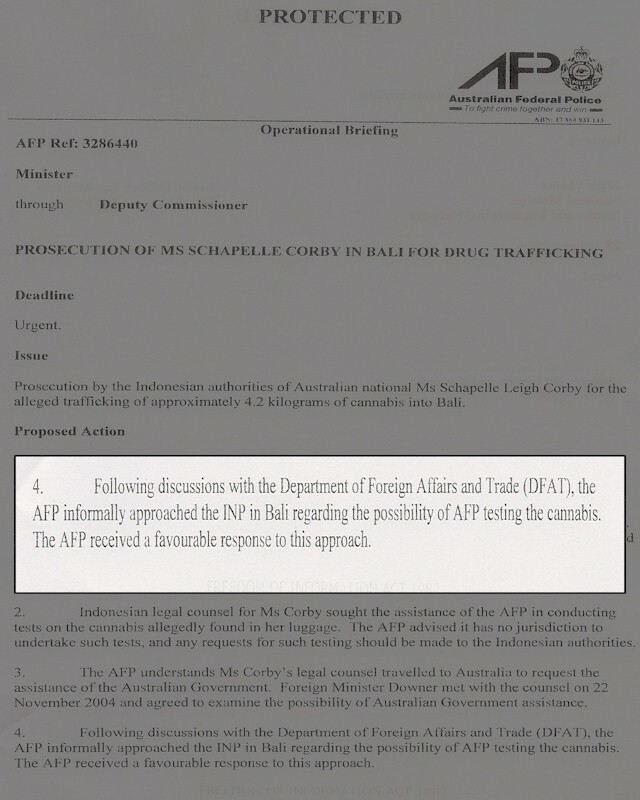 This was not the only reference to DFAT's formal written request within the myriad of documentation secured for the project. However, such references, following the above briefing date, uniformly ceased.